Refusing to act his age has worked out well for John Shocklee. 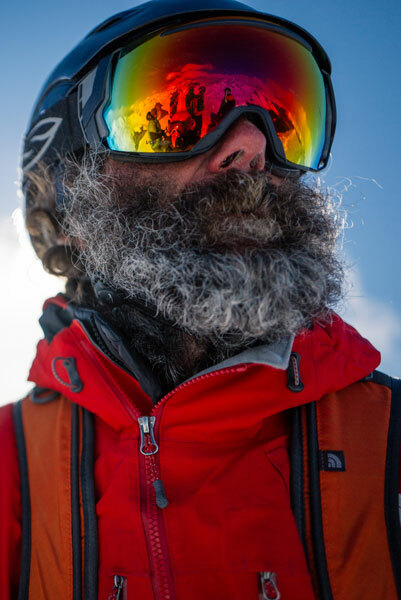 The 51 year old has devoted his life to doing what he loves, and what he loves more than anyone else is skiing (just ask him). Powered by old school hip hop and a passion for fresh powder, Shocklee makes turns down untrodden and untamed slopes with the vigor and freedom of a man half his age. He’s found the fountain of youth along a foot and a half of powder, and has no plans to grow up anytime soon. John Shocklee spends his winters guiding skiers in Silverton, Colorado and his summers as captain of a wooden dory in the Grand Canyon. 52 years young, Shocklee hustled through life taking any job that kept him playing in the mountains. He’s now worked his way to the top of the dirtbag kingdom (that’s a good thing) and is the subject of the latest YETI film, “John Shocklee: A Fairy Tale.” We caught up with John to talk 90’s hip hop, dirtbag living conditions, and leftovers that serve as great snacks while on the mountain. Q. How did how did you end up in Silverton? A. John Shocklee: It was the bumpiest terrain on my globe when I was a kid. It took a while to get here, but that’s really where it started. Q. Who’s your favorite rap artist or group? A. Man I have a hard time with this one. Not just not because I'm struggling with one artist or the other, it's just more that I don't know how to like... it's just the sound [hip hop] that I like. It's not necessarily the particular artist. I honestly don't know. I guess you know ‘92, 1992 artists. Great music came from that year. That would be kind of a turning point in music for me, for hip hop. A. I'd have to say Desert Solitaire. Q. Would you take 20 inches of pow or running through Lava Falls? A. Not fair. Uhh well 20 inches of power because that's like what's right outside my door right now. Q. Do you have more passion for skiing or whitewater? A. I would say that skiing is probably my first love. That’s what brought me out west - that image of ski lifestyle. A. Umm, no not so much. I don't think I have ever heard anyone take offense to the “ski bum” title in Colorado. It's definitely more of a status here. Q. In the film you say you feel like a 20 year old physically. What’s your secret? Are you on a special diet? A. Not really. It's more the combination of lifestyle, doing something that you're passionate about along with physical activity. That combo is the fountain of youth. But you know in terms of my diet, I do eat a lot of calories. I imagine I'm close to the 4500 [calories] a day as a base. So really everything I see is what I eat. Then obviously dessert every day. 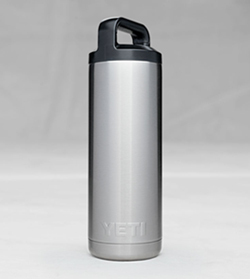 The perfect addition to your day hikes or kayak sessions, this Rambler Bottle has the power to keep your water chilled or coffee hot until the last sip. Q. What’s the weirdest place you’ve lived in journey as a dirtbag? Ever since I moved to Colorado I made a point to camp out in the summertime. So I camped out in a tent for my first summer and then I upgraded to like a $300 pickup truck. I built a plywood box on it and I lived in that while I was in Gunnison and Crested Butte, when I made snow up there. I slept in the parking lot and skied every day. That worked out really well. I then upgraded with a little Hallmark pop-up camper that I put on top of this really old Dodge Ram 50 pickup. I had that for three years and I lived in that year round. Most of the time you could find me in a snowy parking lot at Purgatory or in Silverton. In my first year in Silverton I rented this cabin from the owner of the ski area. You had to hike into it and it even had an outhouse maybe 200 feet away with the snow like seven feet deep. It was amazing. That place was probably a hundred and twenty square feet. I lived there for three summers. Q. How fun is it like throw explosives for avalanche control? Or is that more stressful than anything? A. It's kind of all of the above. You know it's just a really fun job. It's definitely awesome to throw explosives and cause avalanches. But at the same time you know it's probably one of the most serious, if not the most serious job I’ve had because there’s always potential to encounter a life-threatening situation. Q. Last question, best on-the-mountain snack? A. Man, that’s tough. Yeah you know I'd say the most common and popular would be jerky. Can't go wrong there. Throw some cheese in there and that’s really solid. But you know I'd say a steak from the previous night would be the best. What you do is order the second steak as an addition to your dinner knowing that you’ll use it as lunch the next day. So I end up just carrying around a steak with me throughout the day. That's the definitely the best snack besides maybe like a whole jar of bacon. 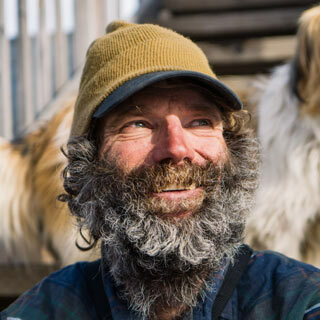 John Shocklee may be 51-years old, but he’s a long ways off from growing up. He lives simply, skies freely, and can’t help but share his passion for the slopes with anyone he meets. Refusing to act his age has worked out well for John Shocklee. 52 years young, Shocklee hustled through life taking any job that kept him playing in the mountains. And he has devoted his life to doing what he loves, and what he loves more than anyone else is skiing (just ask him). Shocklee spends his winters guiding skiers in Silverton, Colorado and his summers as captain of a wooden dory in the Grand Canyon. 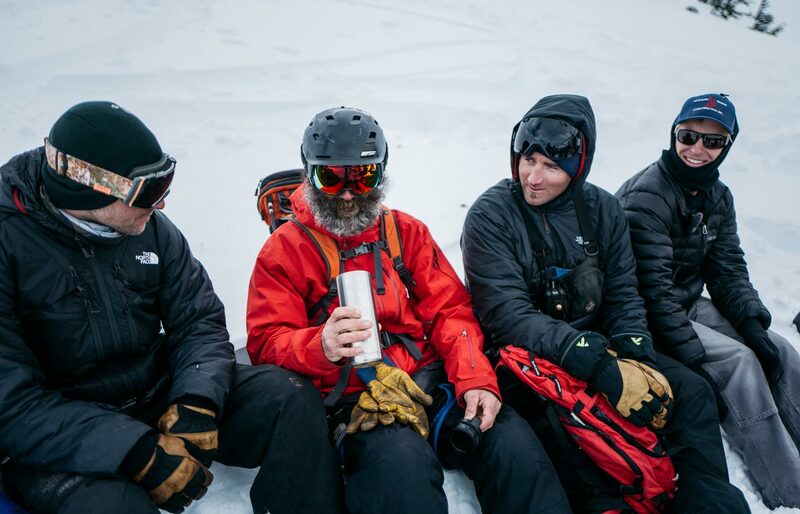 He’s now worked his way to the top of the dirtbag kingdom (that’s a good thing) and is the subject of the latest YETI film, “John Shocklee: A Fairy Tale.” We caught up with John to talk 90’s hip hop, dirtbag living conditions, and leftovers that serve as great snacks while on the mountain. A. Not fair. Uhh well 20 inches of powder because that's like what's right outside my door right now.